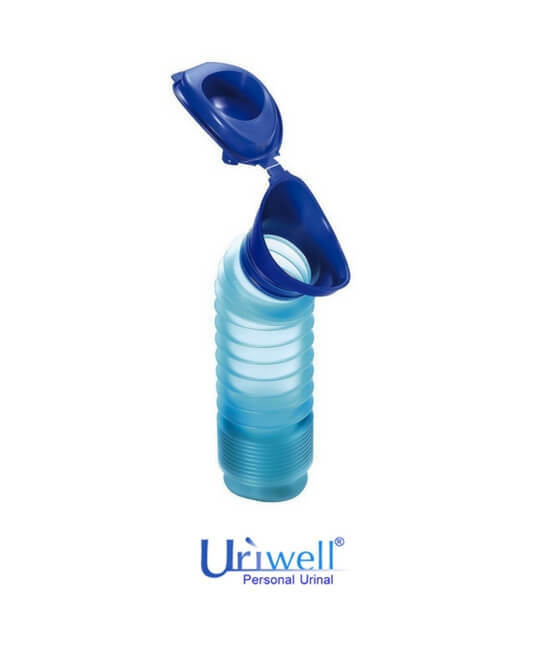 The Uriwell unisex personal toilet is a very useful portable urinal. Get relief on the go in the case of an emergency! The design allows for flexibility, it's easy to use and it collapses to a compact size for easy storage. 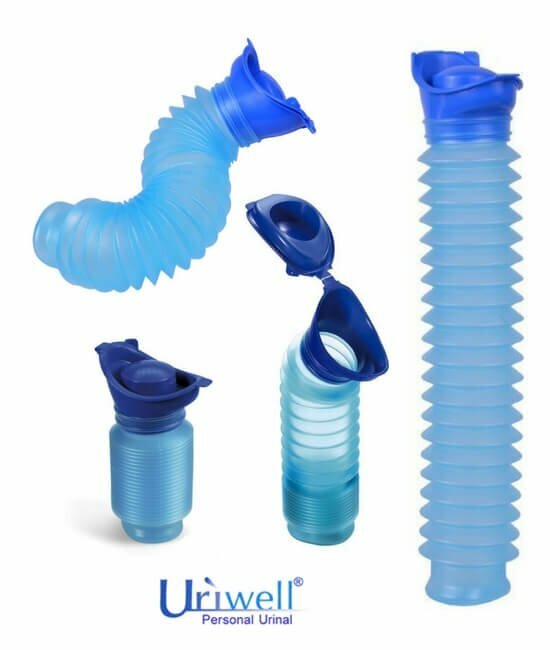 The Uriwell portable urinal has a maximum capacity of 750cc, each coil can hold 30cc if you need to track urine output. The Uriwell unisex personal toilet is the result of 9 years of research and development. 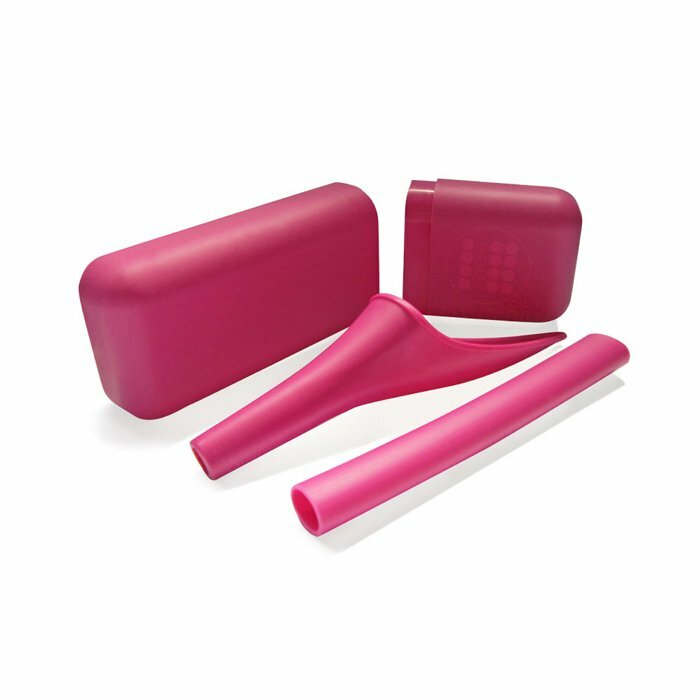 It is produced with a non-toxic polypropylene with an added compound which increases elasticity. In fact, these properties allow the Uriwell to be bent, or shaped into almost any position for an easy use. 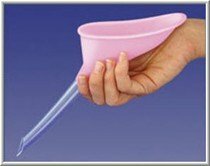 Includes a unisex adapter to make it a safe and spill-proof travel urinal for males or females. 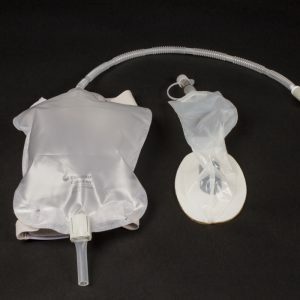 Total expanded capacity is 750cc, which is roughly equal to 25 ounces of liquid. Each coil can hold 30cc of liquid which allows for a easy estimation of liquid contents. 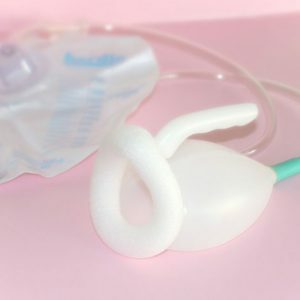 This allows for easy measurement for those who must keep an incontinence diary. Buy using the Uriwell unisex personal toilet there will be no more guessing. In this video, Jeff explains the features of the Uriwell unisex personal toilet. Also, he shares a few situations when this portable urinal can come in handy. If you have any questions about this product you can use the online chat at the bottom of the screen to send us a message. There are times that having access to a compact, portable solution for personal toilet needs is crucial. Perhaps you need something small enough to fit discreetly into a large purse or a briefcase for use while traveling. Perhaps you awaken during the night with an intense urge to urinate that doesn’t allow you time to walk down the hall to the bathroom. It is a cost-effective, well designed and convenient device suitable for camping, sporting activities and most other situations, which can be easily stored without fear of spillages or unpleasant odours until is becomes possible to empty and clean it ready for the next use. Overall it is not a bad product. The pluses are its flexibility and compact size. The big negative is the lid. The hinge being of plastic will break very easily. Leaving you to hang on to the lid. This is a great product, I am a really tought judge! I like that it expands and contracts, the lid works fine for me and is not in the way, easy to use. I would recommend. I bought one for me, for my husband, and one for our grand-daughter who is just potty trained and needs a really portable device, the FROGGY top makes it fun. Has made a great difference in my personal function and cleanliness. 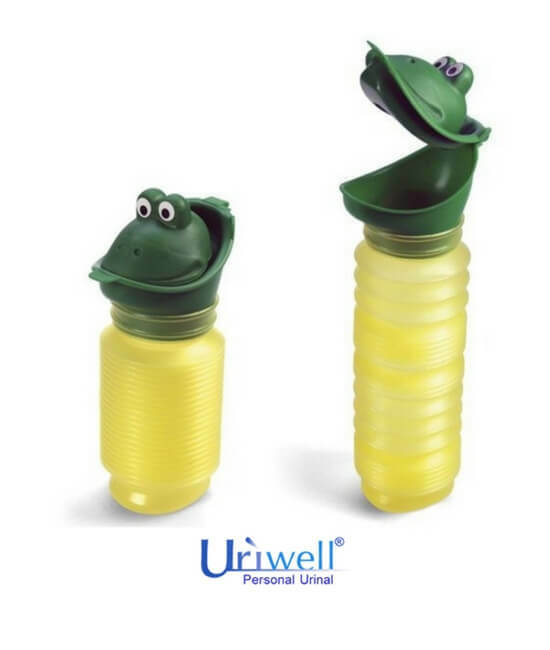 You need a 1.5L Uriwell Unisex Personal Toilet. I have filled the thing to the top more than once especially due to the bends that I sometimes need to put into it. It is however the best thing that I have found. I am tough on rating so most would probably rate it higher. Needs to be in the $5-$10 range and 1.5L size. I haven’t tried it yet, but it seems to meet the need, and I’m pleased to have it. works great and is comfortable to use. I bought it because my commute jumped up to 1 hour on a road with no rest stops or service areas. I haven’t used it yet, but it is exactly what I was looking for to use i my car in an ’emergency’. That it expands & collapses is key – I can store it in my car’s console. I guess for guys it should be easy, but as a woman in a wheelchair can’t say it is of any value. Unless you can stand I would recommend looking for something more user friendly. Thanks for the effort though. Lid on the Uriwell is not designed nor made well. The size of the urinal is great, love the small diameter and the fact it can be collapsed to such a small size. The lid just NEEDs some attention. Easy to use, easy to pack for camping, lid is tight & dependable. Eliminates the need to pack out and dispose of items like the more bulky Travel John. The weak lid hinge is a minor con but the lid fits tightly on it’s own…add a small piece of duct tape to the hinge and you are good to go. Would and did recommend this item to a good friend. I just bought my 2nd Uriwell, having used the original daily since November of 2007. As a male I find the product very easy to use and clean. After each use and washing at home, I add about a half teaspoon of mint mouthwash to the unit before putting it away, never an odor issue. The top can separate from the base, I glued mine in place. I am a pilot on a Sm Plane & cannot just run in to any bathroom, works great and is light weight & compact. A must for anyone who flies of the pattern !!! This is an excellent product. I use it in the plane and it is compact yet opens to permit up to 2 reliefs, if necessary. No leaking, so storage is secure until it can be cleaned. The movable shape allows for usage in a small space without contortion or acrobatics. This is a 10+ for anyone who needs relief with no facility available. Just what I have needed for a long time. I would suggest you offer a stand-up base. The unique profile of the bottom lends itself to a “quarter-turn” attachment base. I like the collapsible aspect of it, but I would like to see the top to be a more flexable plastic And that the lid be attached in a better way than it is now. For camping it’s utility is being small enough not to take up extra luggage space. It is also of immeasurable convenience on having to exit the tent on rainy nights. Lid hinge appears to be rather weak. This product is compact, relatively discreet and inexpensive. The seal on the lid is tight and will prevent or minimize spills– so tight that anyone who frequently has extreme urgency might want to leave the top open before use, in case it is difficult to open quickly. I also noted the weakness of the hinge, but it hasn’t broken yet. In my experience, this is much easier for a female to use standing than some of the other products out there. The disposable TravelJohn bags are similarly good, but expensive for frequent use. I still am not sure if it is possible to position either the Uriwell or the TravelJohn in such a way that a female can use it sitting or reclined in those situations where it is not possible or difficult to stand quickly. He’s very pleased with this product, being in a wheel chair easy to use when he’s not at home.